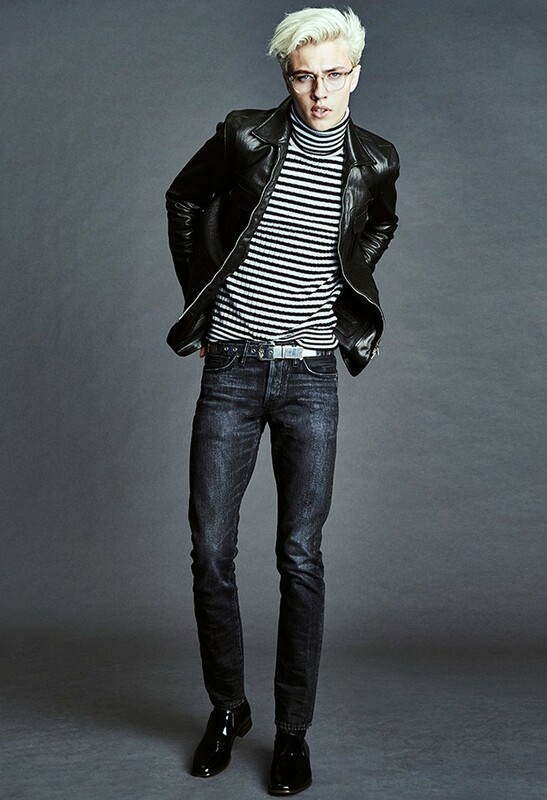 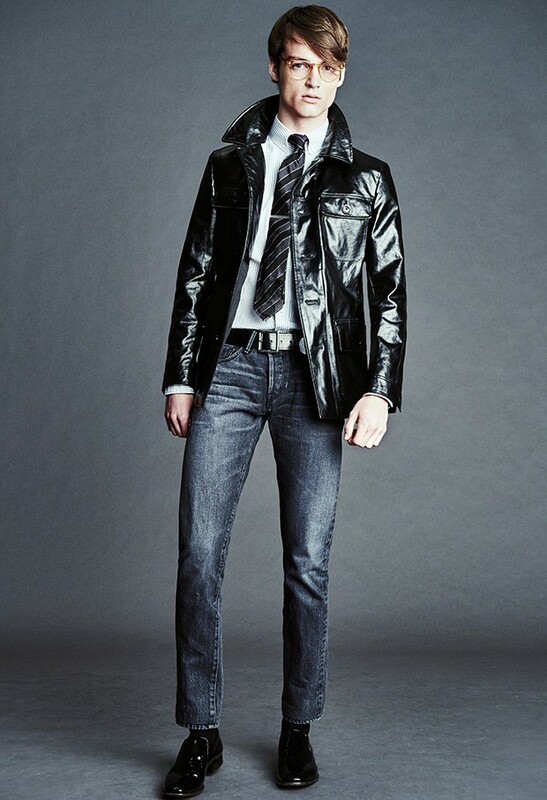 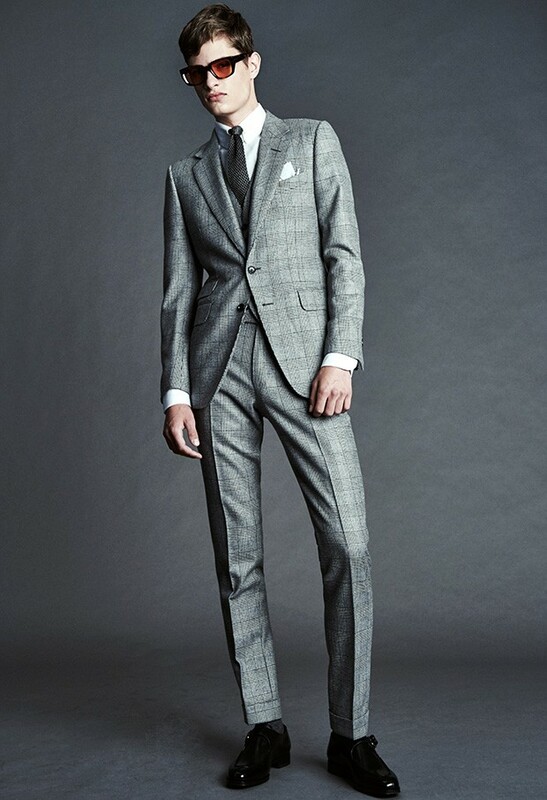 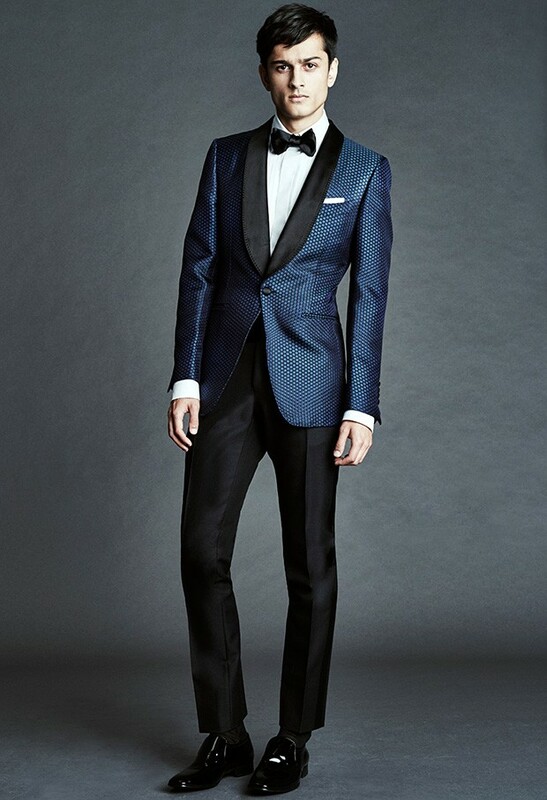 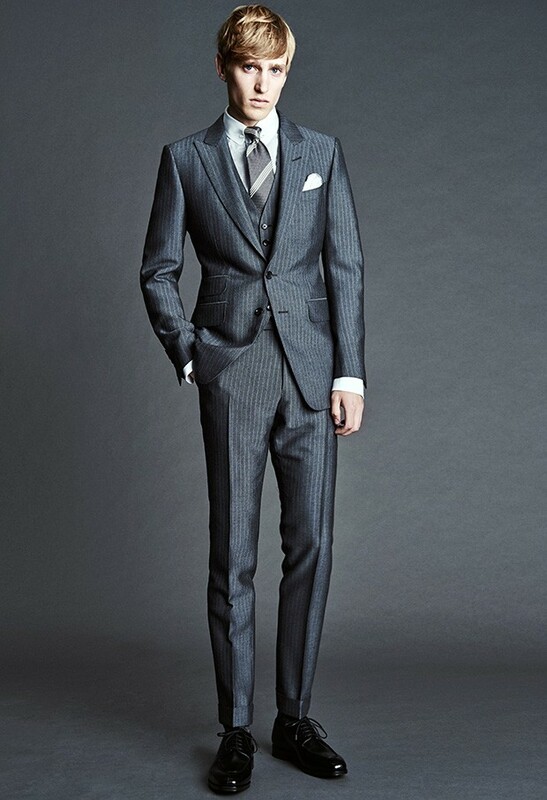 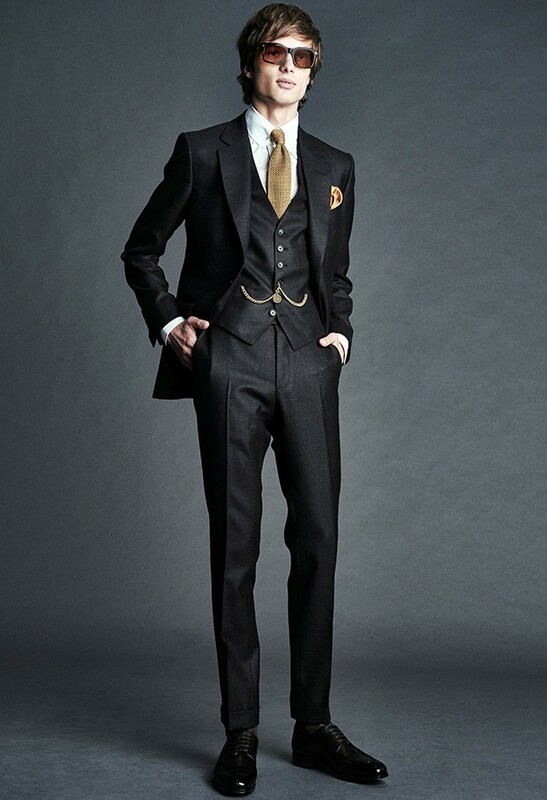 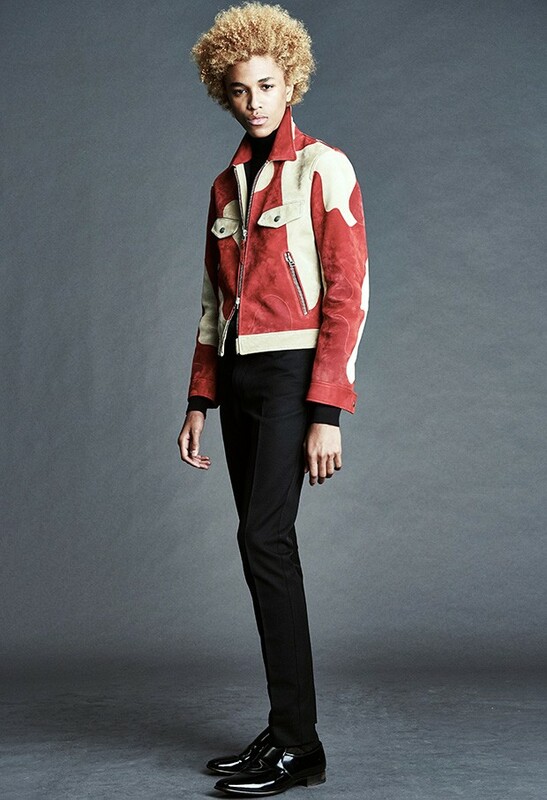 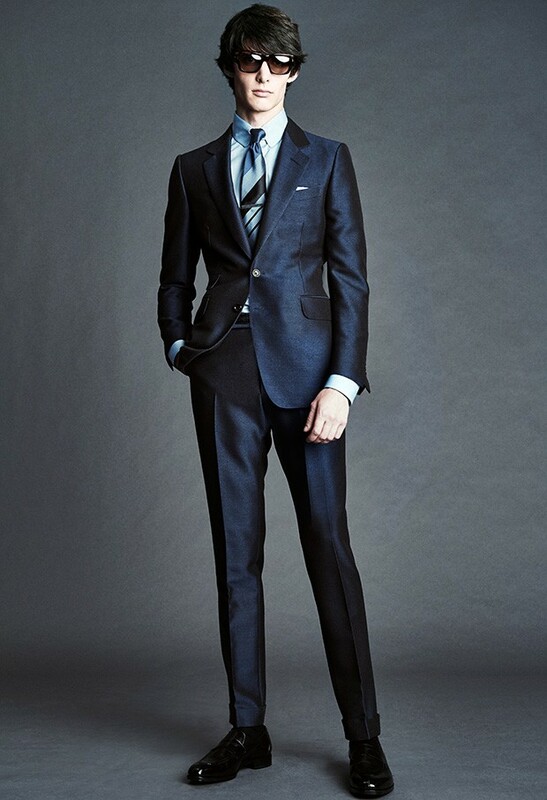 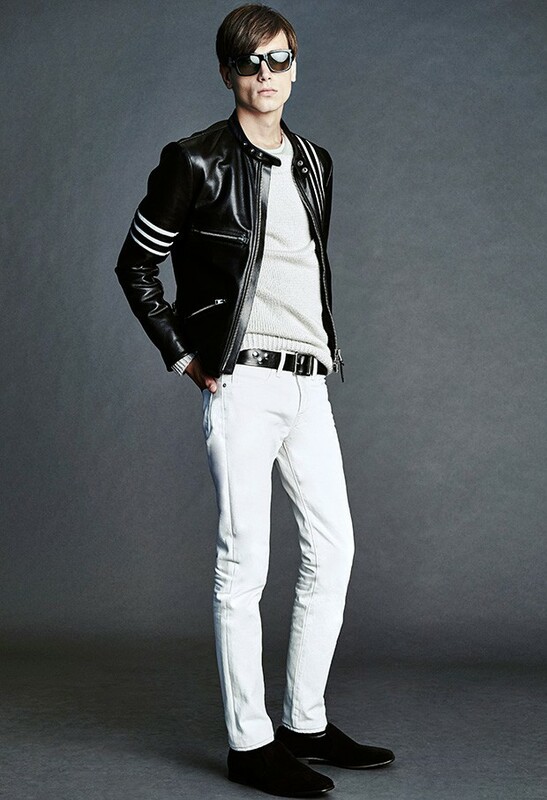 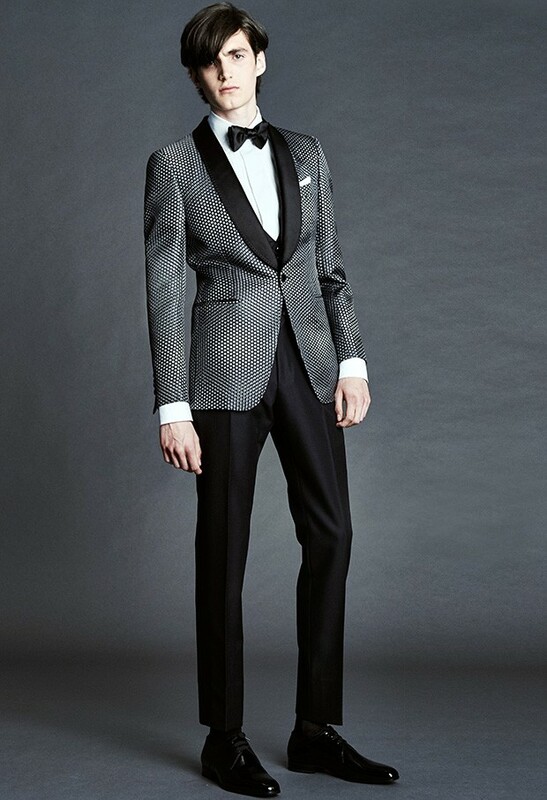 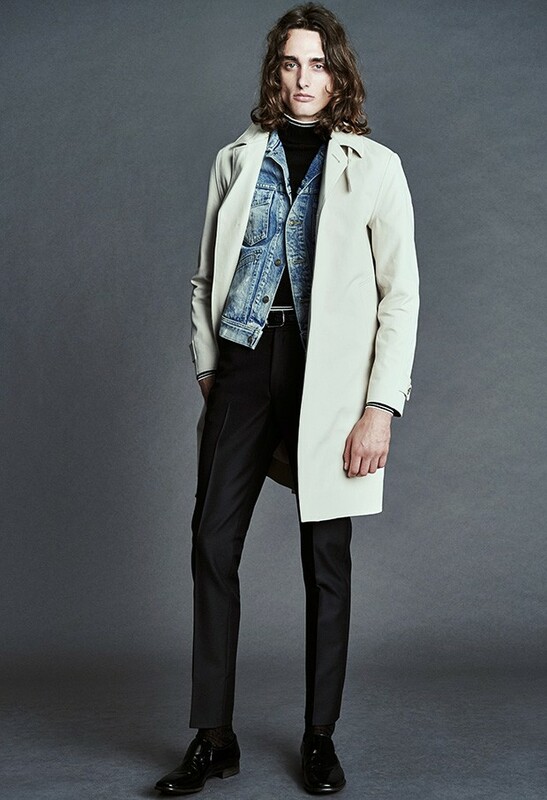 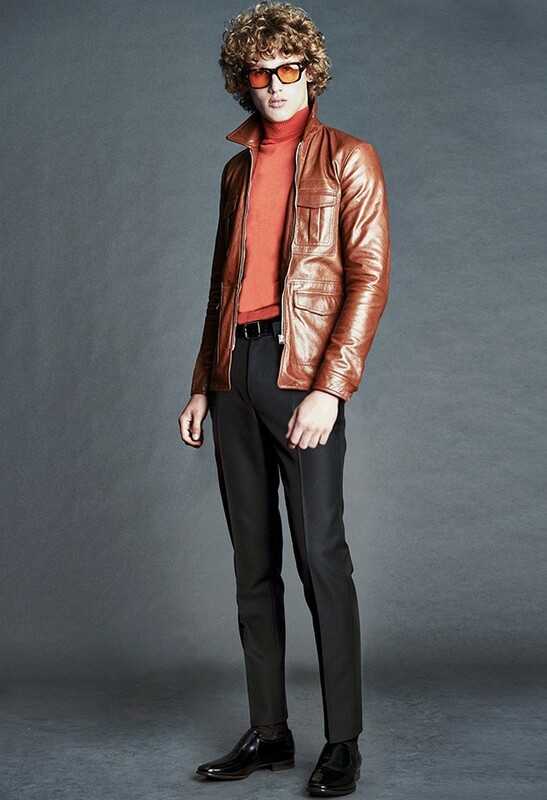 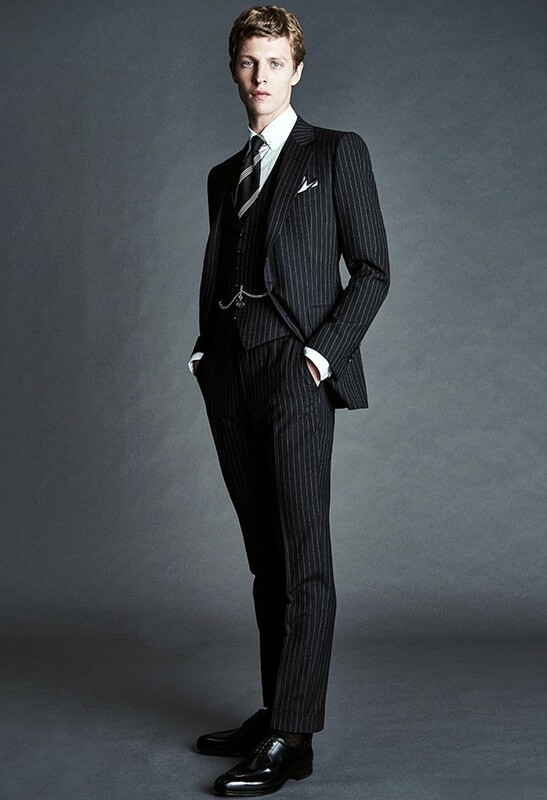 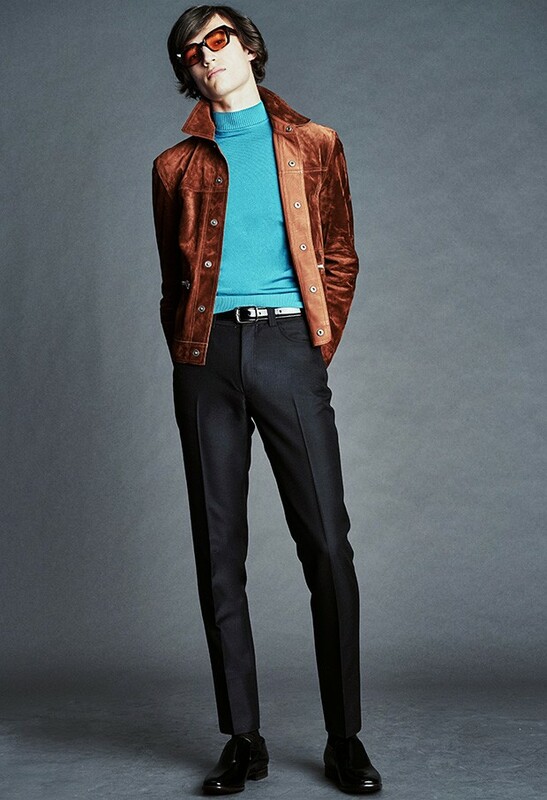 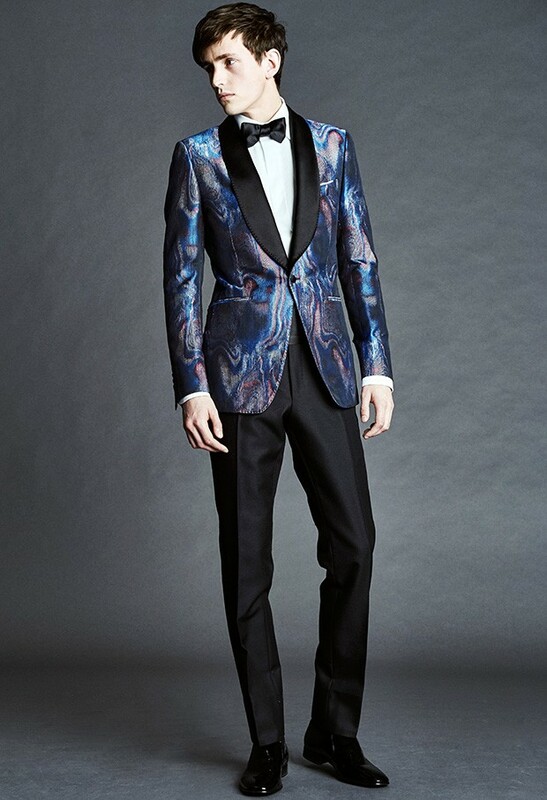 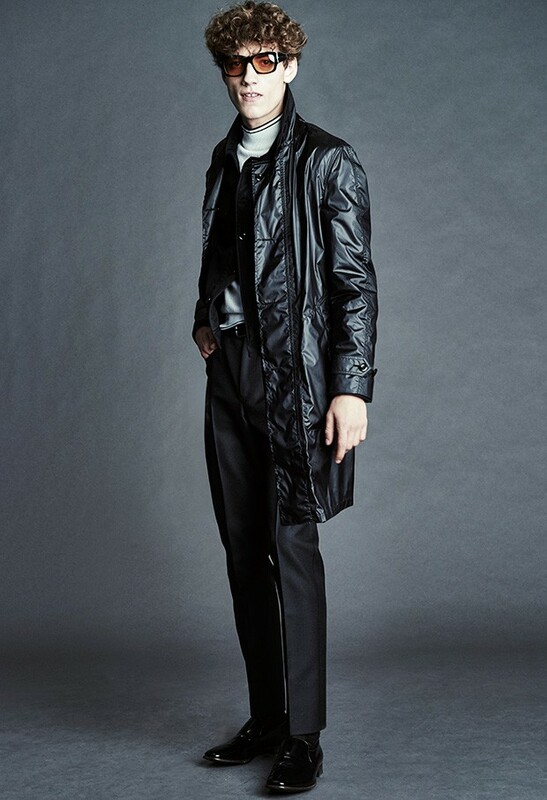 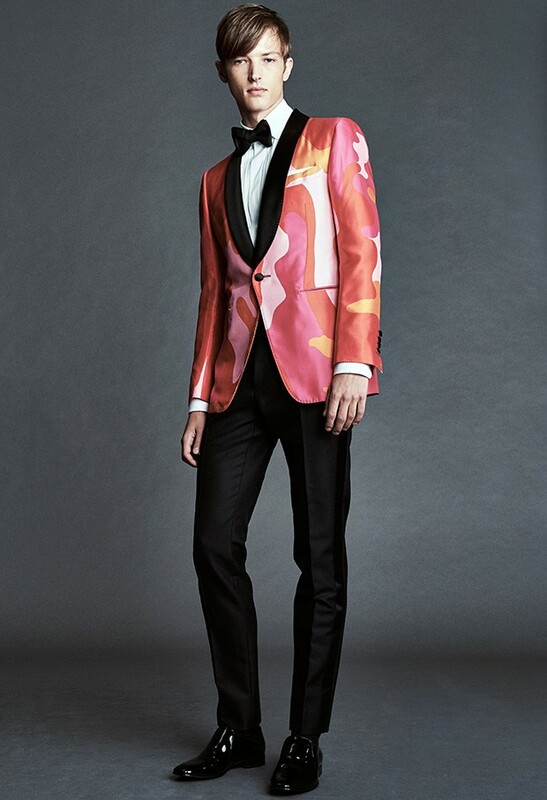 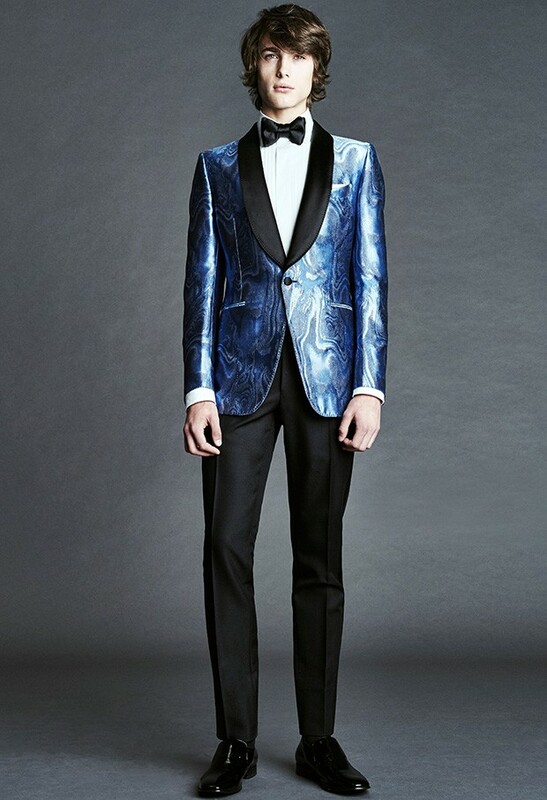 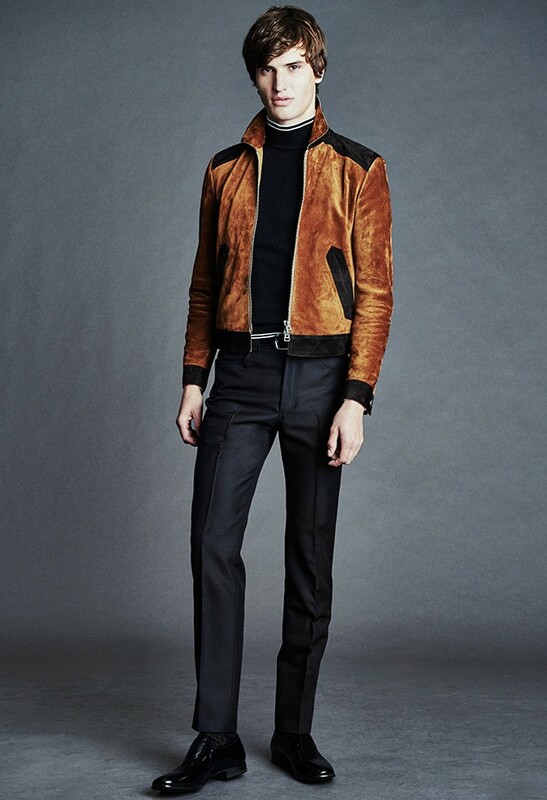 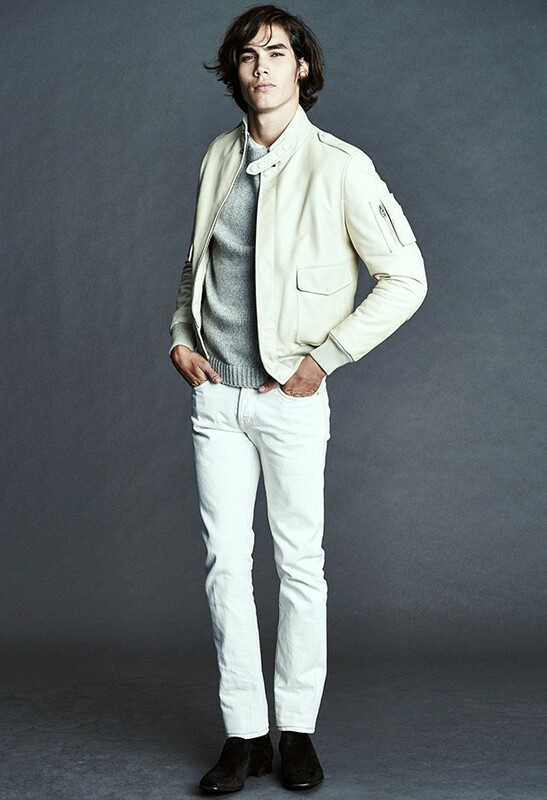 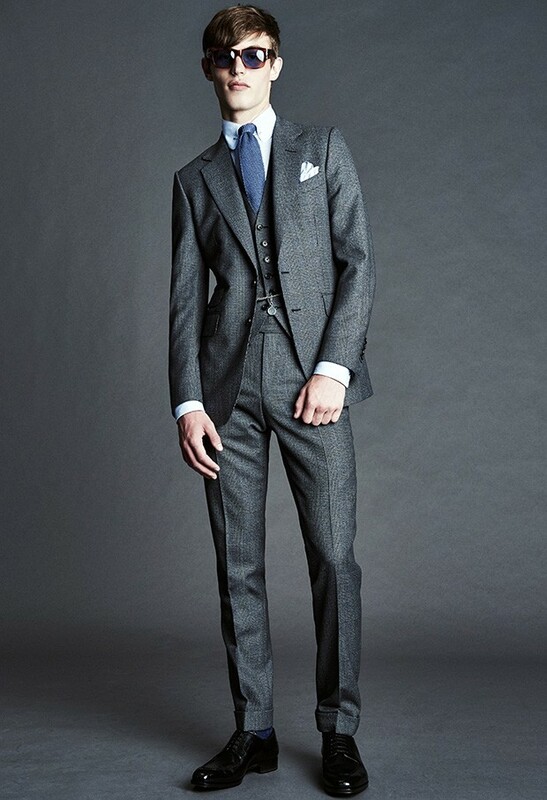 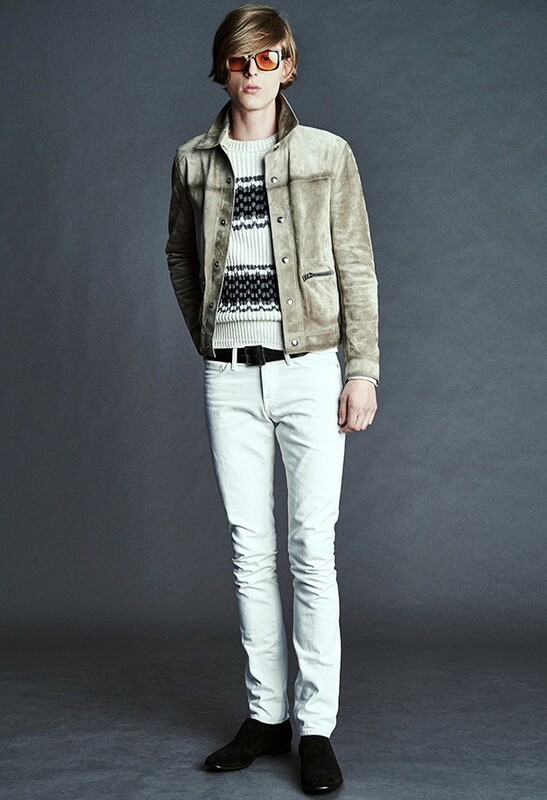 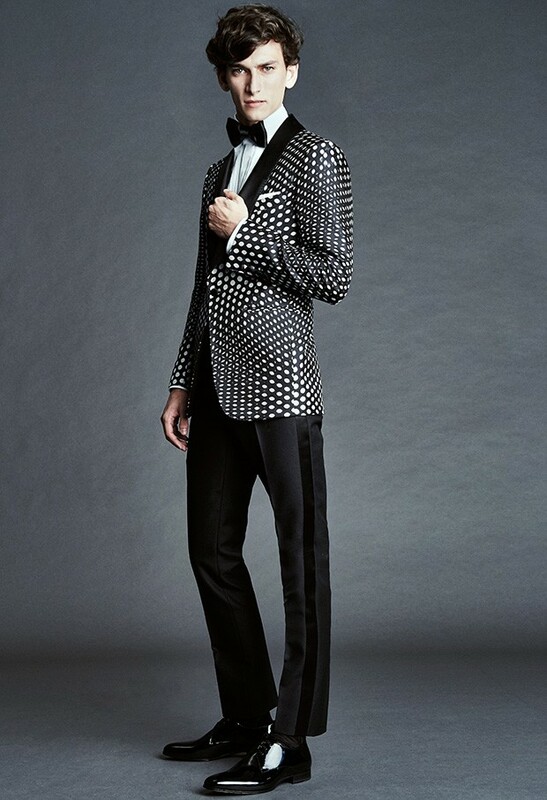 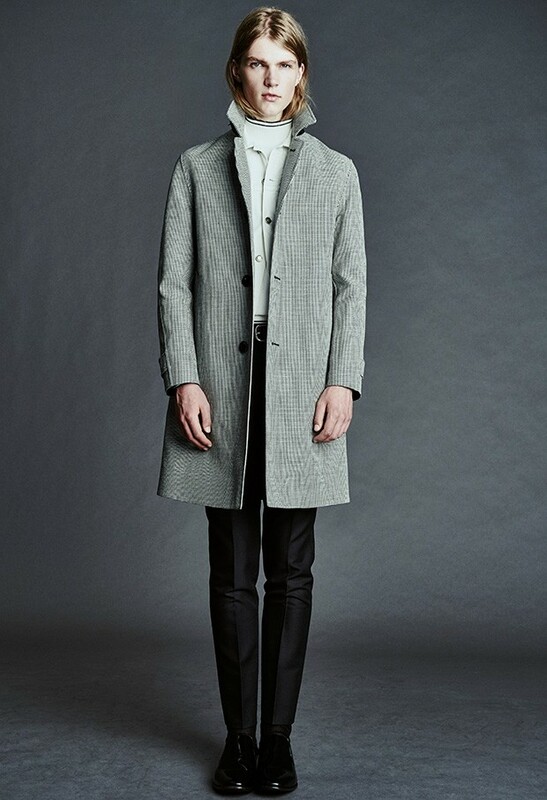 Luxury fashion house Tom Ford unveils its Spring/Summer 2016 Menswear collection with a new lookbook. 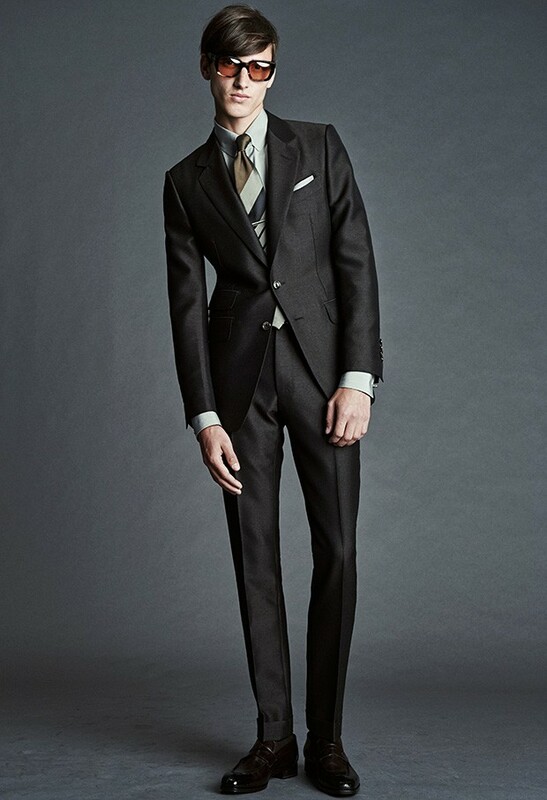 The Tom Ford men keep it classy and sophisticated, and are utterly stylish in tailored and glossy suits, pinstripes which have made a comeback and fob chains too. 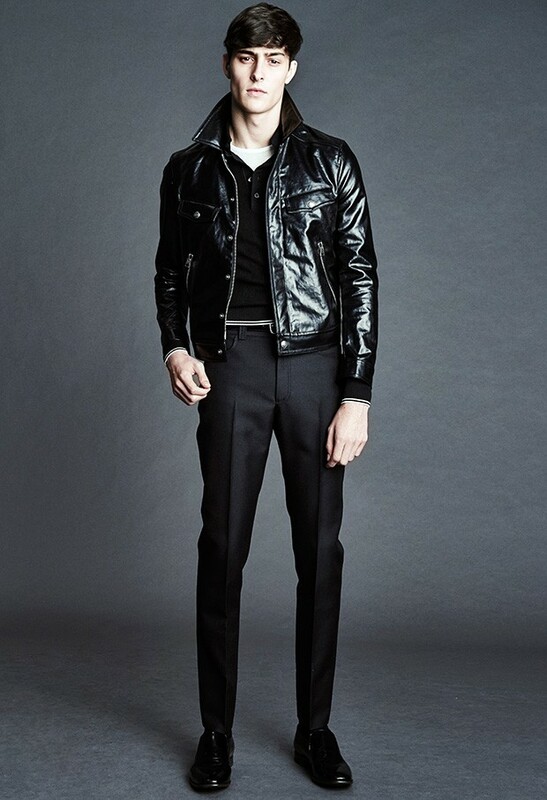 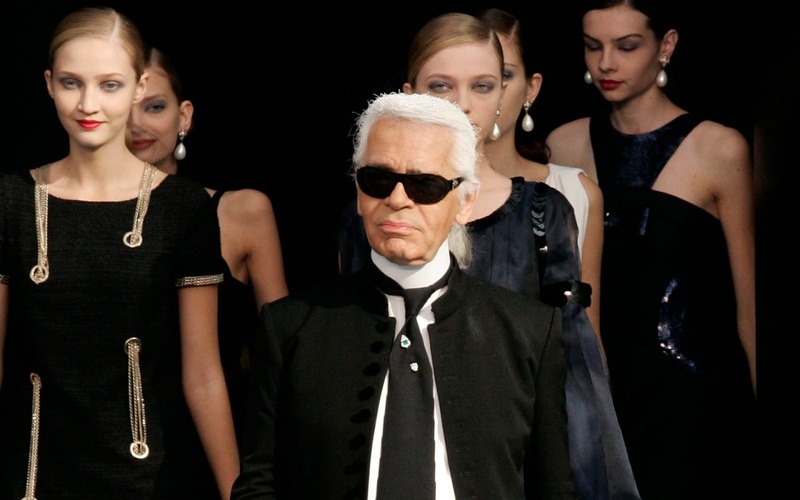 Also seen in the collection are leather jackets, sharp modern lines, fanciful prints and bold aesthetics, and the fob chain is an Apple watch attached to a chain. 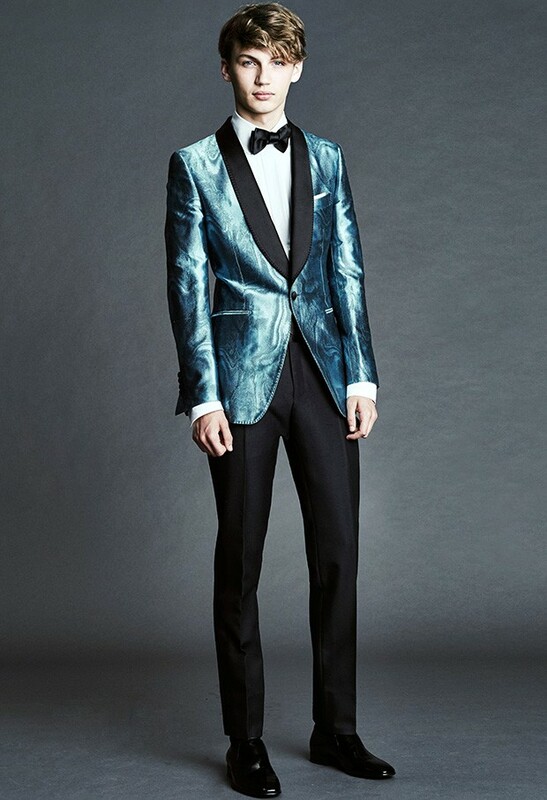 The collection is an ode to Tom Ford's unique and whimsical look of making menswear glamorous, with the designs standing out and being in the limelight.